Heat the oil in a frying pan. Sauté the garlic. Gradually add the spinach and sauté with the garlic until all the moisture has evaporated, add salt. Mix together the cream, ricotta, parmesan and egg, add salt. 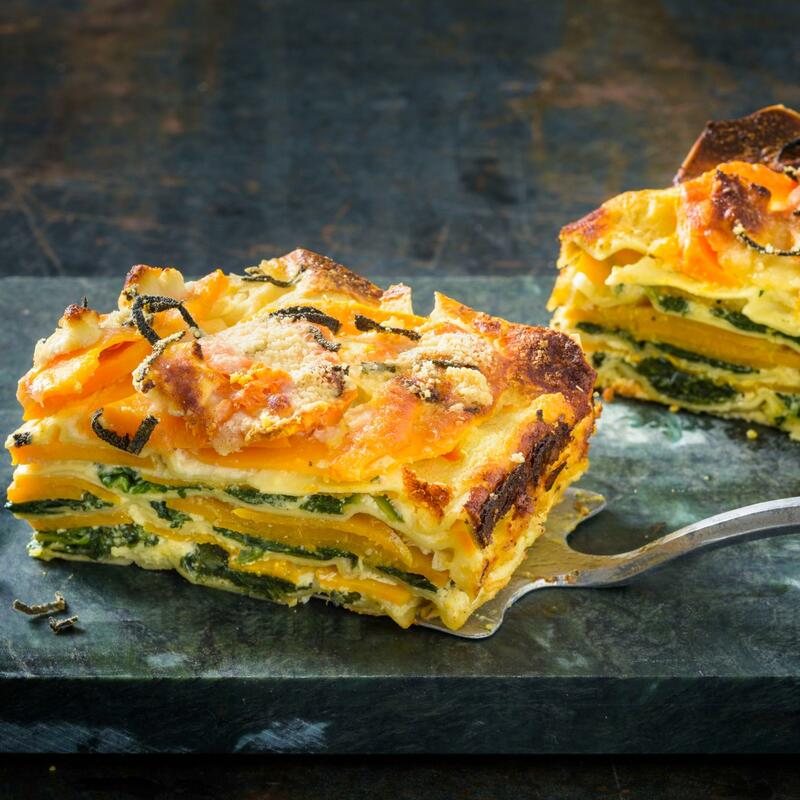 Layer the sauce in the prepared dish, with the lasagne sheets, squash slices and spinach. Top with the rest of the ricotta and sprinkle the cheese and sage over the top. For approx. 35 mins. in the centre of an oven preheated to 200°C.